You save time and money by choosing one company to work with for the life of your project. Don't start with one company in prototyping and have to start over with another company when you move into production. We take it from your proto design and scale it to production - all with the team at Rubber Industries. We source millions of parts from Asia and manufacture tens of millions of parts annually in our Minneapolis plant. REAL MOLDS, REAL PARTS, REAL FAST! We are the fastest at making prototype parts in actual rubber or silicone, in a few days. We save you time and money with keeping your project on the move, on the clock... around the clock.... so you can meet your timeline all while working with one team, not multiple companies or brokers that don't have the in-depth expertise and experience. We are the only company that can take you from the beginning of your project, with actual long life steel molds made on site (not temporary aluminum)... then to prototype in days... all the way to full scale production in weeks for the life of your project. All under one roof on our 5 acre campus. Actual production parts out of a steel mold, with precision tolerances! ​You own the tooling, no hidden engineering fees, no hidden setup charges. From CAD to building a mold to producing your parts in as little as 4 days! That's right.... in a few days... saving you time and money to keep your project on time and in budget all from one source of supply, not split between brokers, prototyping and production. Use this checklist to compare services, and you will find we are unmatched for expertise and full production quality, quick prototypes. Whether you come to us with an idea or complete drawings, Rubber Industries can assist with engineering, in-house tooling and custom formulated materials. The result is the best possible parts at the lowest cost - Fast! Keep your program moving with the Rubber Industries Inc. exclusive ProtoFast (rubber parts) and LIMFAST (liquid silicone rubber) programs. Parts can be shipped in a few days after receipt of order. Test parts containing inserts will take slightly longer, as will complex rubber shapes. Our unique ProtoFast & LIMFAST approach gives you the opportunity to evaluate and test various rubber formulations or liquid silicone simultaneously! Rubber Industries custom formulates thermoset materials, silicones, fluoroelastomers, and fluorosilicones. You are also assured of being able to obtain additional parts for preproduction sampling and sales demo units. 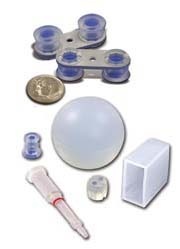 We are a full service custom rubber molding and custom silicone molding manufacturer with over fifty years of experience working in a number of major segments, including medical, industrial, automotive, transportation and consumer goods fields. 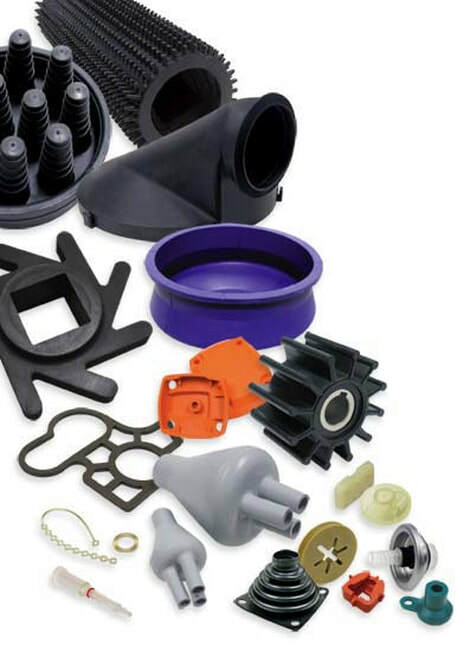 We are the fastest in our industry producing both prototype and production tools and parts and delivering tens of millions of finished custom molded silicone and custom molded rubber on an annual basis. 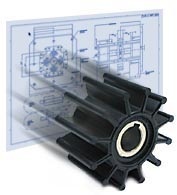 We have 50 years of experience in rapid rubber and silicone prototyping. 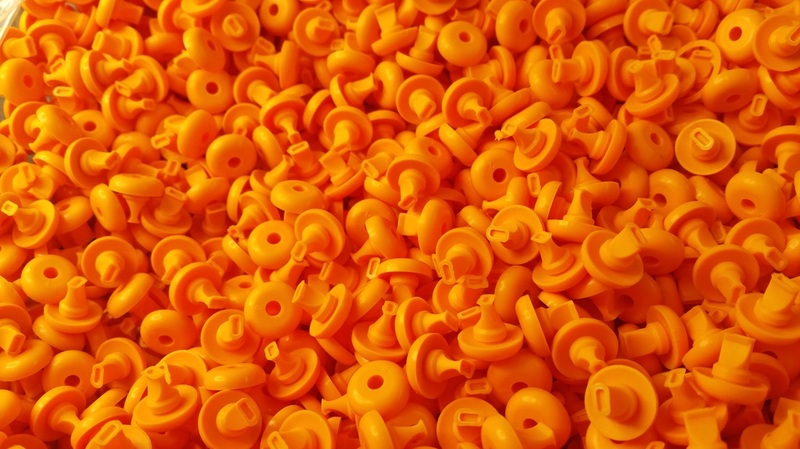 Our company can make custom rubber and silicone parts with us offering quick and professional manufacturing, custom materials, and engineering services. We produce custom steel tools for prototyping with experience working with many different types of materials and industries. We are a major producer with experience in prototyping and the rapid development of custom parts. Our rapid prototyping services allow us to work with materials such as Rubber, Silicone, Butyl, HNBR, EPDM, Nitrile, SBR, Viton, and FKM. This experience allows us to rapidly produce prototype and production tools for parts such as gaskets, bellows, diaphragms, seals, and o-rings. We seek to offer the fastest prototyping services while still providing focusing on customer satisfaction. We do this by having a great technical team, and being able to offer a wide range of services. We meet our customers’ needs while still offering some of the fastest prototyping services around. Our team of rapid prototyping experts is also skilled in mixing custom materials. This allows you to secure custom rubber and silicone products that will fit specific design specifications for your most demanding applications. This makes our fast rubber prototyping process a way to get parts for specialized fields to market faster than any other company. 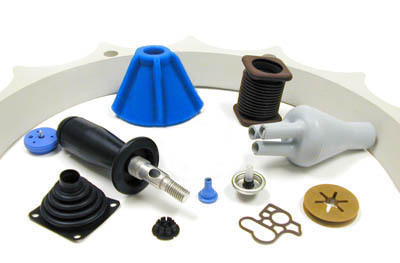 We know how these custom rubber products need to be designed to fit very specific parameters. We are skilled at using an overmolded process that will allow you to have custom rubber parts that will work for the job at hand. We also can both use and produce custom rubber steel tools for prototyping. This will allow you to produce these products in your own shop. We understand the difficulties involved with the overmolded process, and we know that it can be difficult to create a rubber to metal bonded mold. We can use our expertise in this production process to solve specific problems with rubber to metal bonded mold or rubber to metal overmolding. We are the fastest prototyping service around. We work with our customers on a long-term basis to ensure that we can fit their prototyping needs. We can even work with them to fix specific issues with our parts and tools. This will allow them to work with such things as rubber to metal overmolding with ease. We offer in-house services in order to reduce costs and speed up development. When you use our fast rubber prototyping services, you have the chance to test our products before they move onto production. We even give you the chance to have our products made out of either rubber or silicone. We seek to offer the fastest prototyping service around. The means that we can provide our clients with what they need to move on with their project. We have built our business out of offering clients solid work over decades, and we understand how important the process of developing new ideas is to bring a product to market. Rapid prototyping is vital to help you keep your business moving at a fast pace and keep your customers interested in your brand. Introducing new products helps you stay relevant to your customer and helps you keep providing solutions to new problems. Being able to constantly innovate new and exciting offerings can be the key to success, no matter what industry you are in. Why Does Prototyping Speed Matter? If you’re needing to rapidly bring a new product to market or refining an existing process with new elements to make it more efficient, getting a prototype ready as fast as possible is critical to your success. As you look for a partner to produce a prototype for you, be sure that you seek out an experienced manufacturer who can offer a wide range of production methods. At Rubber Industries, we have helped clients from every industry create thousands of prototypes of new products and produce the actual components needed to take the product from a dream to a reality. Our experience with prototyping helps us create exactly what you are looking for out of nitrile, HNBR, epdm or another type of elastomer suitable for use in the automotive or medical industries. What Kind of Prototype Products Can We Make For You? Reinforcing the softer portions of these pieces with metal will help create a long lasting product that can withstand heavy use or chemical exposure. Our rubber prototyping is done quickly, but it still done with the high quality standards we use in all of our nitrile, neoprene, HNBR, epdm, FKM and viton manufacturing. Our fastest prototyping service can have a high quality product delivered to you within days or even months. We manufacture an actual steel prototype mold to make your medical, industrial or automotive prototype. 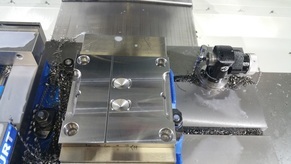 This is not a temporary aluminum mold that many companies use in rubber prototyping that will often produce sub-quality results. Our custom molding allows us to follow all of your specifications. Our Prototyping Helps You Bring Your Invention to Market FAST! With your new product, the process of rapid prototyping can help your product become a reality. Each part of the process should move quickly to help you keep momentum going and drive the process of bringing your product to market and to your existing and potential customers. Our team will work around the clock to get your prototype in your hands as soon as possible. When you are ready to go into full scale production of your invention, there is no need to search for a new vendor and start the process all over again. Rubber Industries can manufacture your product and help you bring it to market. Why Choose Rubber Industries to Provide The Fastest Prototyping Service? We use quality steel tools to create a durable prototype that will save you money, time, and headaches so you don't have temporary aluminum tooling. Our team works around the clock to meet any deadline you set. With our facility located in the United States and partners in Asia, we are able to accommodate your needs regardless of weekends, holidays or an usually quick timeline. Our production team can create thousands of small parts, like caps, plugs and seals, in a matter of days. We have expertise in different kinds of production and the ideal materials to use with each one, including 1 cavity to multi cavity molding, silicone to metal bonded, overmolded production and custom tooling. We have created everything from small parts like o-rings and gaskets to larger pieces like bellows and diaphragms, and can offer you insight on how to get the best result. Contact us today to find out more about how we use rapid prototyping for overmolded parts to create a rubber to metal bonded prototype product for our clients. Our silicone to metal bonded prototypes are among the best in the industry.